The Defense Department’s watchdog on Thursday released a 450-page compilation of more than 1,298 open recommendations Pentagon has yet to implement, including 58 with the potential save the department $33.6 billion. Addressing subjects ranging from planning for the use of nuclear weapons, to the disinterment of deceased service members from past conflicts, to problems with logistics software, Inspector General Glenn Fine highlighted 30 high-priority open recommendations that, if implemented, could reap substantial savings and improve program efficiency and effectiveness, the IG said. 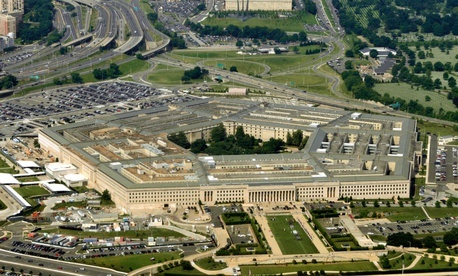 Each recommendation is linked to the Pentagon’s top 10 management and performance challenges and the precise project that produced the recommendation. Of the open recommendations, Defense management has agreed to take action on 1,251 of them. The Pentagon's ability to provide guidance for, plan, and employ theater nuclear weapons, had been languishing in coordination for more than 21 months. It recommended updated guidance to geographic combat commands that includes type and level of planning information needed for contingency plans. Army financial and system managers did not reengineer their Logistics Modernization Program system to correct known material weaknesses. As of August 31, 2011, LMP activities reported more than $10.6 billion in abnormal balances within the accounts payable and budgetary general ledger accounts. No single entity is responsible for developing and maintaining a disinterment policy, causing confusion among the military services and inaction within the Defense Prisoner of War/MIA Accounting Agency on identifying the remains of missing service personnel currently buried as unknowns. The IG also analyzed 27 recommendations that were more than five years old to identify trends: Nine were directed to the Army; 10 were in the area of acquisition; 12 pertained to updating and revising guidance, policies, and regulations; and five were associated with potential monetary benefits.